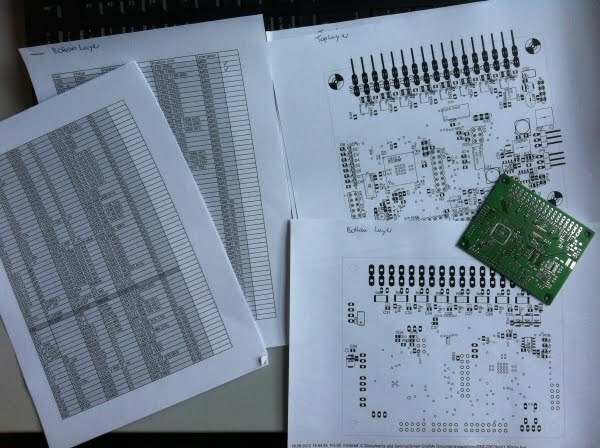 This is the third week of my thesis and I've finally decided to start the soldering marathon. 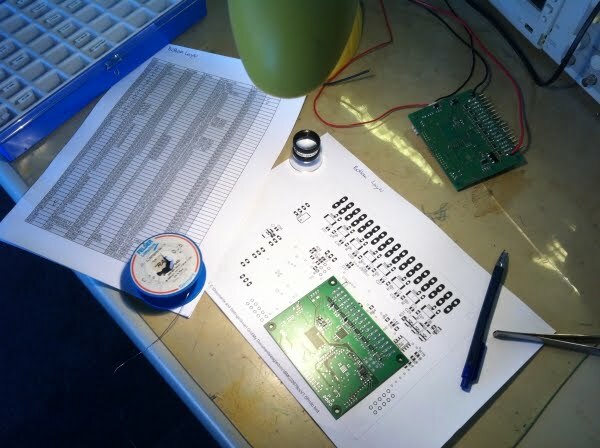 I have to solder at least three BMCs. One BMC has 64 parts on the bottom and 176 parts on the top layer - 720 parts in total. These are my list and layouts. I'll alternate between soldering and doing other stuff. 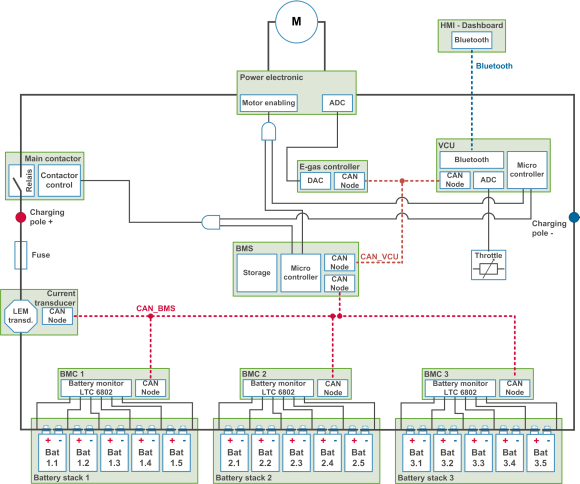 The layout for my LEM CAN module is still missing a schematic and layout. But let's start with the solder fun. The summer finally decides to arrive and we have now 30° Celsius in our laboratory. It's so damn hot, I get the feeling, I can solder the parts just by touching them. Most of the parts are packed in SO8 and 0805 packages, but there are also some in 0603. The biggest problem is the compactness of the layout. The parts are very close together and it's pretty hard to solder them. 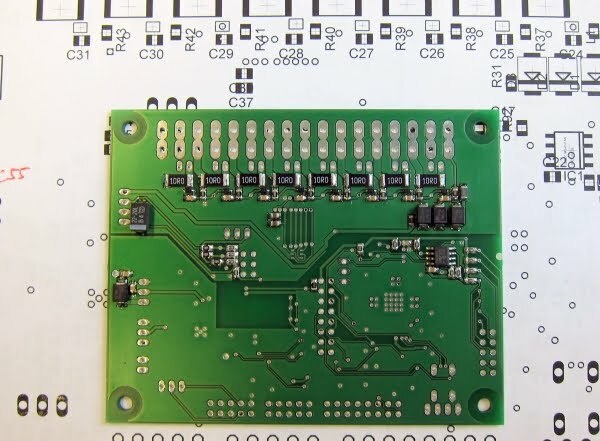 I'll do one example and test it before I solder the remaining boards. Despite the soldering, I do a lot of literature research. I found some nice books about car wiring, CAN bus, batteries and battery management. I hope I can use them in my thesis. This is the new concept of the whole system. I consider to integrate a CAN node to the main contactor. The contactor is currently switched with an actuator box (just a MOSFET) by a signal wire coming from the Vehicle Control Unit (VCU). But for emergency reason, it's important, that the BMS can separate the load from the batteries. One possibility would be to integrate a logic (e.g. a simple AND gate) to the actuator box, which would need both enable signal, one from the VCU and one from the BMS, to switch to main contactor. The second possibility would be to upgrade the contactor with a CAN node. I like the second one most, but maybe I have to postpone it. The BMS is currently more important. There will be two separated CAN buses, one for the BMS and its BMCs and sensors. The second one is the CAN bus for all control units. The BMS decides which information will be presented to the other control units and which are displayed on the dashboard. I'll add more information to the introduction site to my thesis. So back to the soldering fun. 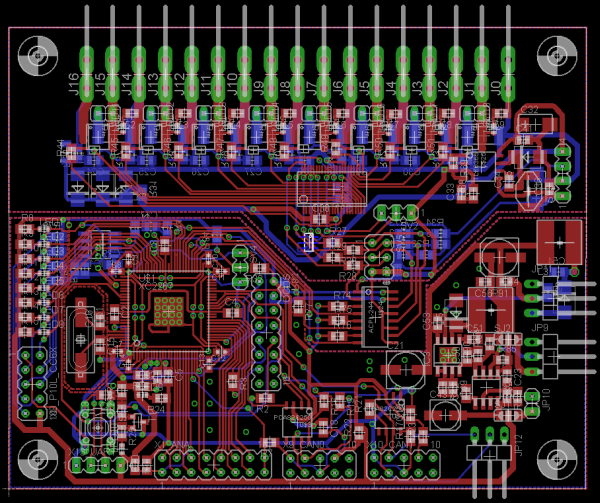 This is the Eagle layout for the board. I've soldered three of the boards, just the bottom layer. Unfortunately I'm still missing some parts for the top layer. These parts have to be soldered with hot air, so I'll have to wait for them. So that's all for this week. There is not much to post right now. I'm still researching for literature and will start with some theoretical text and figures for my thesis. The text will be in German, but I try to translate my figures into English, so that I can post them here.